Breviary (Breviarium). France; Late 13th Century. Latin Text; Angular Gothic Script. The Breviary is one of the six official books used by the Roman Catholic Church in its liturgy. It is a book of prayer for the clergy, giving the directions for all of the various services of the Divine Hours throughout the year. The other five official books are the Pontifical, the Missal, the Ritual, the Martyrology, and the Ceremonial of the Bishops. The angular script in this leaf is executed with great skill and precision. The small and vigorous black initials and the hair line details found in many of the ascenders and terminal letters indicate the work of a superior calligrapher, skilled not only in writing but also in sharpening his quill. The initials and the dorsal decorations also represent the same high standard of craftsmanship. Strangely, the rubrications do not show as great a calligraphic skill. Usually it was the task of a superior scribe to insert the rubrics or directions for conducting the service. 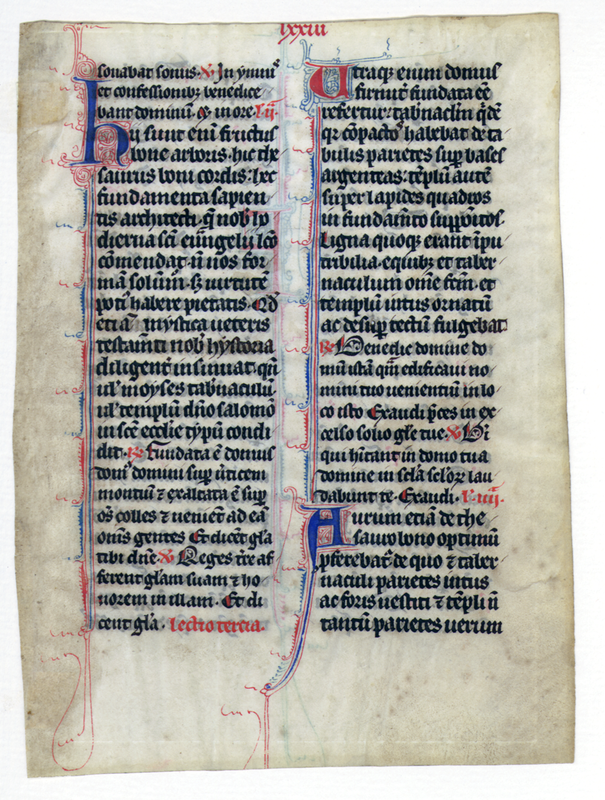 Observations: The leading characteristic of these leaves is the alternating red and blue scrollwork along the left margin of some of the columns. 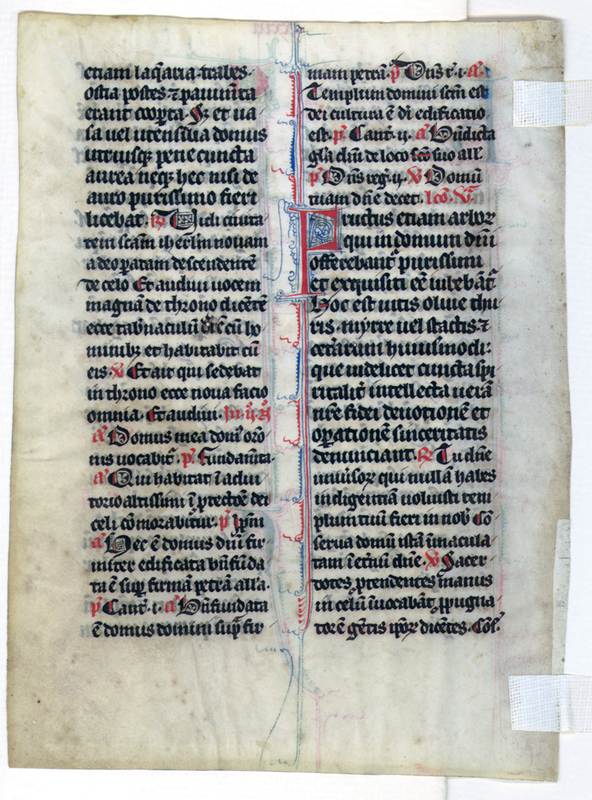 Together with the large initials (red with blue scrolling, or blue with red scrolling), the text of this otherwise limited-use book gains a special beauty. The text is written in dark black ink in two sizes, larger for readings and smaller for responses and prayers. The recto of each leaf bears a rubricated Roman numeral.